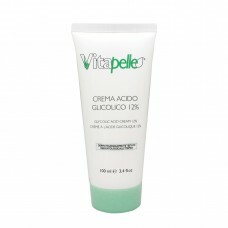 Apply 8% Glycolic Acid Milk over face, neck and décolleté. Slightly massage for 5 seconds and rinse off. Note: Do not use it to remove eye and lip makeup. Apply 8% Glycolic Acid Toner evenly using a cotton pad. Rinse off after 5 seconds. Moisten two halves of a cotton pad with water and cover the client’s eyes to protect. 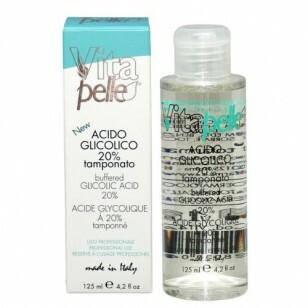 Apply 20% Glycolic Acid Liquid onto a clean and dry face, neck, and décolleté using a glycolic fan brush (CB0122) or piece of soft gauze. Leave it on for 2-6 minutes, depending on the client’s skin sensitivity, and then rinse off thoroughly with tepid water. Use the Buffer Solution (PDVIT4209) to quickly neutralize the peeling. 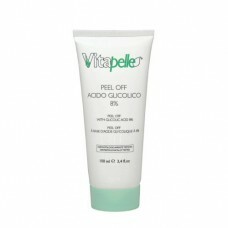 Follow it by using a soothing, hydrating mask (Idrolife or Calendula). Note: Application time for local body parts is 8-15 minutes. Tip: As an option, you can apply Calendula Soothing Fluid Cream (PD7010) or Acid Cream (PD0038), leave on for 10 minutes as a mask, and gently massage after. Wipe cream residue, do not rinse off. Note: If the treatment is provided during the day, finish it with a cream containing sunscreen.